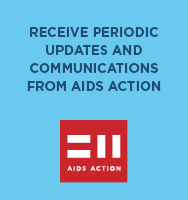 Note: This web page has links to many articles, fact sheets, and other materials arising from the 2014 International AIDS Conference (IAC), held during July 2014 in Melbourne, Australia. If You Film It, Will They Watch? HIV Preventive Tx Appears Safe for Fetus. (MedPageToday – free registration may be required to access). Note: For articles about HIV treatment as prevention, please see the “HIV Prevention, Transmission, and Testing” section above. Note: For articles about hepatitis C infection, please see the “Hepatitis C” section below. Tesamorelin May Help HIV Patients Shed Fat. (MedPageToday – free registration may be required to access).